Weight: 1.8 kg (approx.) vacuum packed slice. Ingredients: Milk, salt, rennet. Preservative on the crust E235. Crust can not be edible. Description: Raclette cheese contains all the rich taste of the mountains, and its incomparable flavor is ensured by traditional production methods. Slice it and warm it using the raclette cooking set until it is smooth and creamy, then pour it over boiled red skin potatoes and enjoy it with salami as well as vegetables in olive oil and mushrooms. 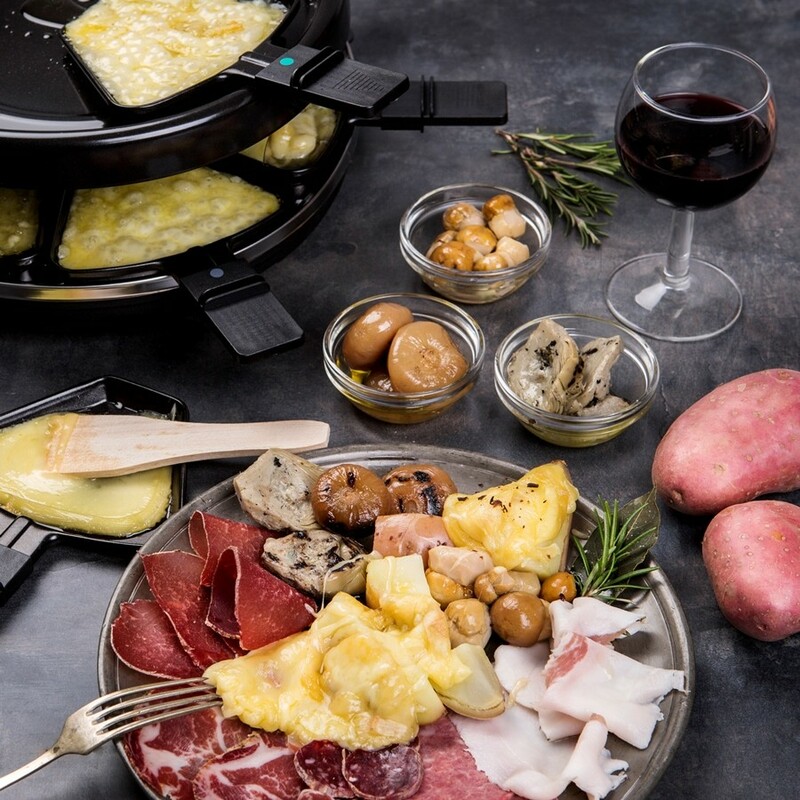 Raclette is a dish that can be shared with family and friends, for a quick but original and tasty dinner!